A few days ago, we visited our favorite Waffle House. Out of nowhere, a little boy of about 3 or 4 let out a squeal rivaling Sooie! “A wock! A wock!” he shrilled. Clutched in his tiny little fingers, he held his treasure – a painted rock. His poor, bewildered grandfather, didn’t quite grasp the hidden rock game when David tried to explain it. However, he helped the boy hide it again, only to find another in the window. The little boy decided to leave both of the rocks together on the windowsill. I left them in place, but could not resist getting a photo. I could not quite make out the hashtag on the smaller rock but assumed that the same person probably left both rocks in Waffle House that day. I tagged the photo on Facebook, and told the story about the delighted child, hoping the artist found it. She did. And the story she shared is the heartbeat of this new hobby. What is the heart and soul of painting rocks and hiding them? The artist’s baby cousin, Jenson, recently passed away at just two months old. Heartbroken, she posted to Facebook. 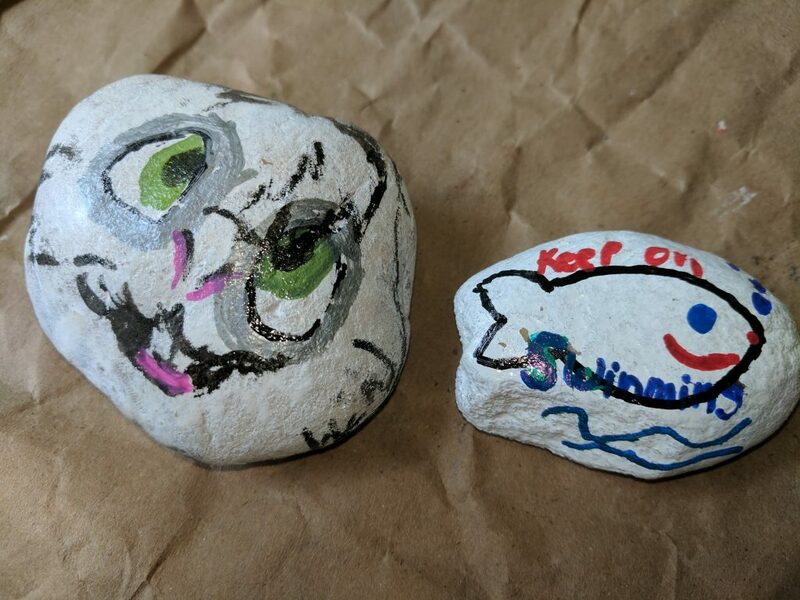 In an outcry of support for Jenson’s mother, rock painting fans around the country began sending supportive letters, prayers, books, and painted rocks with the #LivingForJenson hashtag. While on a road trip vacation to Pensacola, she hid the rocks along the way, including the one at my diner. My own son found a rock, too. It matches the exact blue and yellow in our bathroom and bears a message David and I worked diligently to instill – Be Kind. He brought it home to me. I remember painting pet rocks in the late 1970’s. However, I feel this beautiful resurgence spreading positive messages, uplifting images, and supportive remembrances are the real heart and soul of the rock painting phenomenon. Other than vicariously through my son and this little boy at Waffle House, I’ve never found a rock. But I decided to paint a few when I saw the positive impact they made – whether it was just a child’s exuberance or helping share the remembrance of a lost love. Not surprisingly, painting rocks is very easy. But, there are a few things you should know to make it a success. 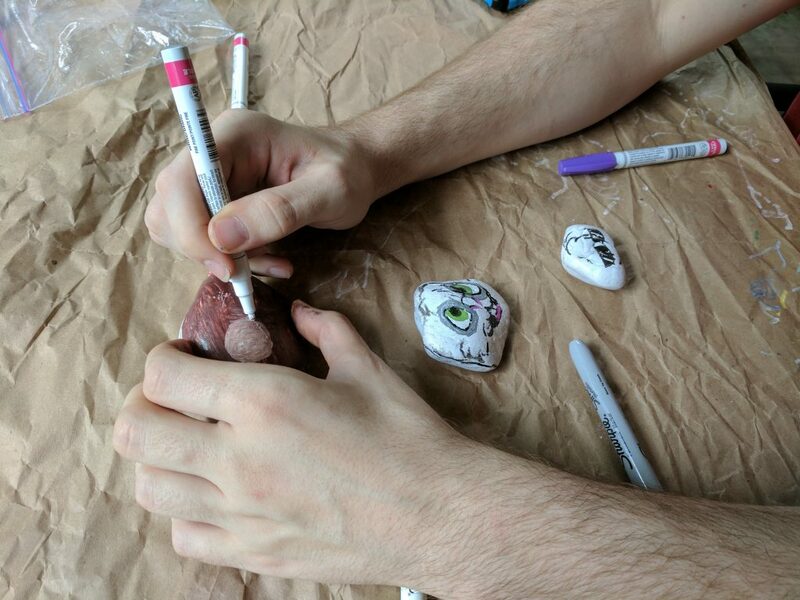 I invited my oldest son to help me paint rocks, but some people find it more reflective painting alone. First, select your rocks. Flat stones work best. But, sometimes, a shaped rock may inspire you. Wash and dry your rocks. Remove all the dirt and debris. Dry them overnight. 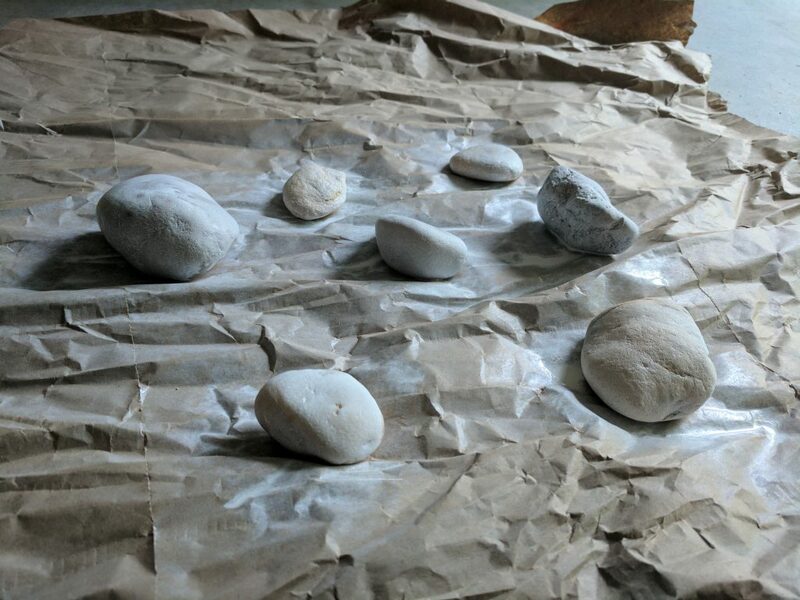 Spray your rocks with a base coat. We used Krylon Semi-gloss white. If your rock is already light-colored, a bottom coat is not absolutely required, but the base coat helps the colors shine truer. We even sprayed a white rock with glitter paint over the base coat. That rock turned out great (photo below).We learned that, on rainy days, it takes longer for the base coat to dry. My suggestion is to either do this on a sunny day. Or, if you live in a high-humidity climate, allow them to dry longer than the manufacturer recommends before you begin decorating. 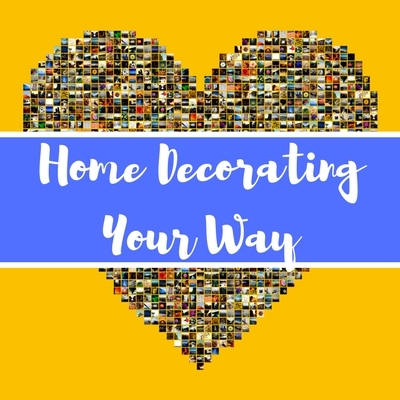 Select your decorating paint. Some people paint the rocks with brushes and acrylic. Personally, I’m not that artistic. My son and I used Sharpie oil-based paint markers. We also liked these dual-tipped brush pens. They give you more control and made it much easier to write hashtags. Cover your work area. Things get messy! I had some difficulty selecting the right images and messages. You’d think someone who writes as much as I do would never find herself without words, right? I let the shapes on some of the rocks guide me. Sometimes, the shape spoke out. My son felt his rock was shaped like his favorite rabbit character. I thought this one kinda-sorta needed a fish. Write motivational messages that speak to you. Or draw pictures. Paint what you like. Paint positive messages and pretty images. Me: This the sign you’ve been waiting for? My son: yeah you know. Just in case someone is looking for one. Most artists tag their painted rocks with a hashtag. They hope the person that finds it will photograph the rock and use the tag (in a public post) on Facebook. When the artist searches for their hashtag, they can see that their rock was found and touched someone’s life. If you join a group, they may have preferred hashtags. Our local group uses #PensacolaRocks. The traveler that hid the ones I found used #SoOhRocks (South Ohio Rocks), but also #LivingForJenson. She said LoveRocks painted her Jenson rocks. You could also get involved in the KindnessRocks project. Since the month just started and August 8th is National Happiness Happens day (yep, it’s a thang! ), I thought of no better hashtag than #HappinessHappens. My son chose #KeepTheBeachClean and plans to hide several of his rocks at the beach. So, if you find a rock (I’m still hoping to locate my first), be sure to upload a public photo to Facebook and let the artist know you found it. It really keeps it fun! Have you ever found a rock? How about hidden any you painted? Is this trend popular where you are? Looking for more kindness inspiration? World Kindness Day is November 13, and I believe we all need a little kindness in this unkind world. But, you have to start teaching your children kindness at a young age. Empathy is a skill we learn and children learn best when they are at play. So make it a game! Here is a “Simple Acts of Kindness” printable game from Personal Creations to teach your children how to care for others – not just on a holiday, but on every day. Is being grateful good for your health? How can being thankful help you? so cute and clever. I love the paint pallette rock. Adorable. would love to own some. Takes ‘pet rock’ to a whole new level. I agree. It reminded me of the pet rocks, too. This is a cool idea. The message on the stone are reminders of your values and happiness goals in life. These are such a lovely idea, they would be great to create and pass on to someone special. I love it! I am a huge fan of “rock art” and make inspiration/wish rocks quite often. These are great. This is such a great idea. Easy for kids of any age to do and it spreads positivity. What’s not to love about this activity? THis is so awesome, i remember doing this as a kid! This is a cute concept to paint on rocks. I love the versatility and I love the this is the sign you been waiting for! I have been seeing these at the beach and all other Facebook. I was wondering if it was apart of a group. If you find another, check the back for a #hashtag. It usually has a group name. I’m not part of a group. I’m just joining in on the fun. I love this idea. I have never found rocks or painted one. This would definitely be a fun project with the kiddos. I particularly like that hidden rocks can bring a message of hope to the finder. Thanks for this post. This is so cool idea! I’m going to find a nice river rock and do crafts with my little guy. I know he’s going to like it. What a beautiful way to spread a positive message. I’m so glad that the painted rock brought David so much joy! This is beyond fun. I’m strongly considering doing this with our Girl Scout troop! That’s the first time I painted rocks! I was in brownies in the 70’s! What a great activity for kids. I hope they had a great time. Art has always been a great way of expressing one’s feeling. Painting on rock is just another way of doing it. And I think it’s the sweetest idea ver! This is such a cute idea! We do something similar for our church! This is such a cool idea. Gonna try this soon. I know that designing and decorating rocks is such a cute idea. And putting inspirational messages on them would be great as well. After doing fairy houses at the library I imagine that these rocks would be very popular for the kids. This is a good idea! I would love to see one and be encouraged. But I also want to join the movement and be an encouragement. This is such a cool idea. It won’t cost much but it definitely a make a thoughtful present for friends and family. Great idea! What a cool idea! I think I will do this with my kiddos and have them leave some around our new neighborhood! I need to hunt down rocks that are so jagged. My yard is full of them but no smooth ones. What a beautiful story! Painting rocks is a great way to deal with stress, I should follow your steps on how to do it and start painting! I love this idea! 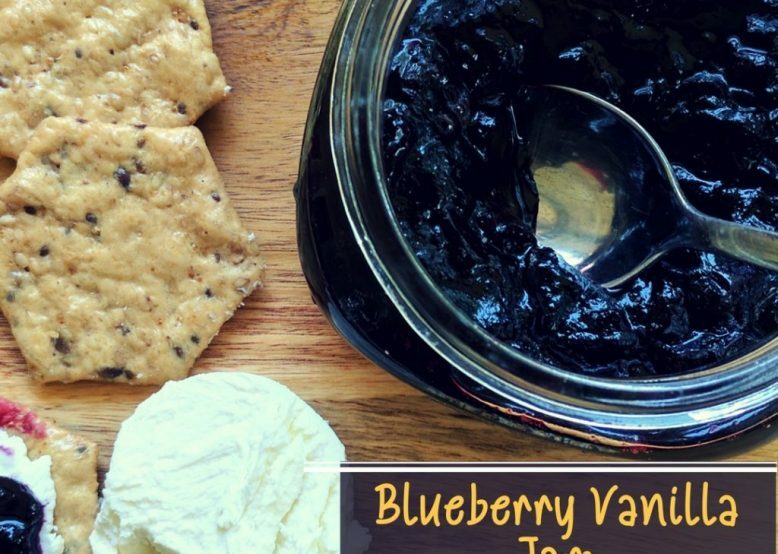 What a great project to work on with your kids! Love this kind of idea. Amazing. Gotta make one soon! I’ve been seeing a lot of rock painting ideas lately and I want to get onboard to do some myself. I’m not sure where to get the rocks around here though. I’ll have to check in at my hardware store. I remember painting some back in the 70’s too. Groovy themes lol. One person suggested using sea shells if you live near the beach. I’ve also found some rocks near streams and rivers. I know that Home Depot sells them in huge bags in the gardening center pretty inexpensively – and so does Lowe’s. This reminds me of when I was a kid and we painted rocks. What a cool idea. Yeah – it takes me back, too! What a great idea! I should find some rocks and paint some saying on them and leave them around town! I agree. You never know when a little positive message is just what someone needed. Welcome to our group Taylor and no I haven’t found any rocks yet but a friend of mine found 2 this week and posted on FB. There is also a restaurant near me that has painted and hidden rocks around town. If you find one and bring it in you get a free meal. I love the positive messages and since I am an artist at heart I am planning to paint some and hide myself. I live in a tourist area so who knows where the rocks might end up. Yes – it’s really not messy if you use the paint markers instead of paint brushes. We had fun doing it. 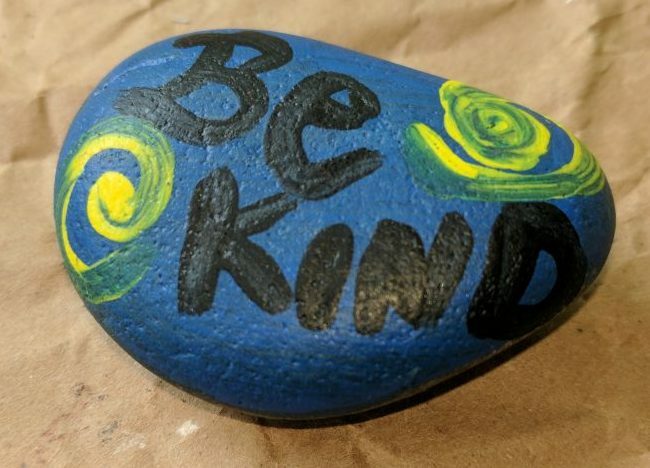 Gotta love the painted rock that your son found that says Be Kind. I’ve never tried painting rocks. Looks like a lot of fun though. It is awesome. I almost feel bad keeping it since the idea is to re-hide it for someone else. But it just matches my bathroom so well – and my son would be sad if I gave it away. Started in March when family in Florida told me about it. Totally addicted and have painted some 400 rocks so far. Most get hidden, some become gifts and I’ve done a couple specific requests for people. I keep doing it for the joy of the reactions of people. My first rock left on a ledge in Dunkin Donuts when vacationing in Florida said “Don’t stress, forget the rest, do your best. The woman that found it posted it saying she’d just had the worst work week ever and that this rock changed her perspective. Too many other stories to tell but we are touching lives one rock at a time. We are #ftncityknoxrocks out of Knoxville, TN. I bet it’s awesome to hear how your rock touched someone’s life – especially your first rock. I am almost as eager to see someone find my rock as I am to find my first one. I love the “hid a painted rock” movement, heard about it before, so I was excited that you posted about it! You created such wonderful rocks! I tried to get my son to make some with me, but he’s not into arts & crafts. In all my spare time I may still try and paint one or ten on my own sometime and hide them in Switzerland, not sure if I am going to be the only one. Thanks Tamara. Maybe you can get something started! If it’s not a fad in Switzerland, yet, maybe you can hide a note along with the rock to explain it – to see if it catches on. oh, wow! What a pretty neat idea. This is a perfect activity for kids. Thanks for sharing! Ha! Yes. My son has a sense of humor. I started Des Moines Rocks in Iowa, and have painted and hidden a couple hundred rocks in hopes of bringing happiness in our community. The other day I found my first rock! I was delighted! The funniest thing~it was one of my own that I had painted and hidden. I guess it found its way back to me! Can’t wait to hide it again! We now have over 600 people in our group so maybe I’ll chance upon another soon. That is the very definition of irony. At least you know that people are enjoying your rocks! 600 people is a pretty good sized group. 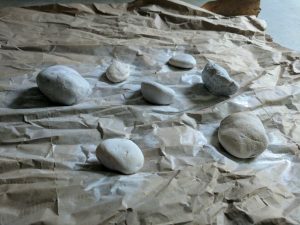 I have heard of the painted hidden rocks movement before, and I love that you wrote a post about it! You made so many creative and inspiring rocks! I think doing it with kids is a great way to teach them that brightening someone else’s day is an enjoyable activity. We have painted rocks before and th ekids had sooo much fun. I love this idea and I want to do it again now! This is brilliant idea, rock painting is a really amazing way. Those rocks are totally fabulous and beautiful. We took part in this in our town. We still find them from time to time. We love it and it always brightens our day. These are great ideas. This would surely brighten up someone’s day. Thanks for the tutorial. What a great idea! I love the artsy aspect of it but I love the message about spreading positivity even more! I love all of the rock painting and hunting that has been going on lately! I have seen lots of rocks on Facebook that have had inspirational messages on them!! I love this idea! It’s such a great way to unexpectedly cheer someone up or make their day. And it’s a fun project for the kids. They have been doing this in the city I live in and even have a Facebook group that posts about them. Ooh! Be sure to post photos if you do. I’d love to see them. The base coat isn’t entirely necessary, but it gives you an even color to work with. OF course, sometimes, the rocks natural markings may be an inspiration. This is a great activity!! I would love to collect rocks, grab some paints and make these with my nieces! This has been going on around us and such a small thing brings so much joy to kids (and even adults!) My son and his friends painted some to hide 2 months ago! I love this. We do this in our town and leave the rocks all over. My daughter’s girl scout troop did it too! We must be on the same wavelength! 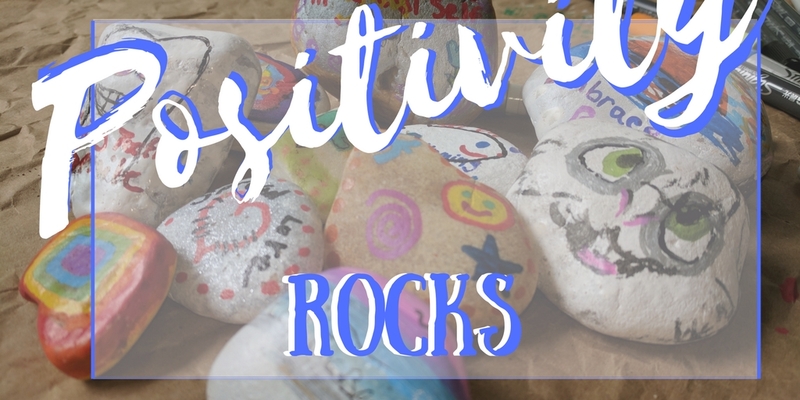 We just got done doing a positivity rock project and wrote about it. The post goes live tomorrow morning! This looks like such a fun activity to do with the kids. My kids would love this to do this. I think I found my next rainy day project. I love that these are spreading everywhere. I also like that they promote happiness and positivity. We all need a little positive vibe every now and again. this is my Group On Facebook, people are starting and joining groups dedicated to the community being built around these painted rocks. They post pictures of their families and friends hard at work, putting their creative energy into these tiny pieces of art. These folks also post pictures of where they have dropped rocks, so other people can go hunt for them and hide them again. Some show off meticulously detailed and tiny masterpieces. Others post tips for painting and hiding.As a whole, the sense of community is strong within these groups — online and out in the world. 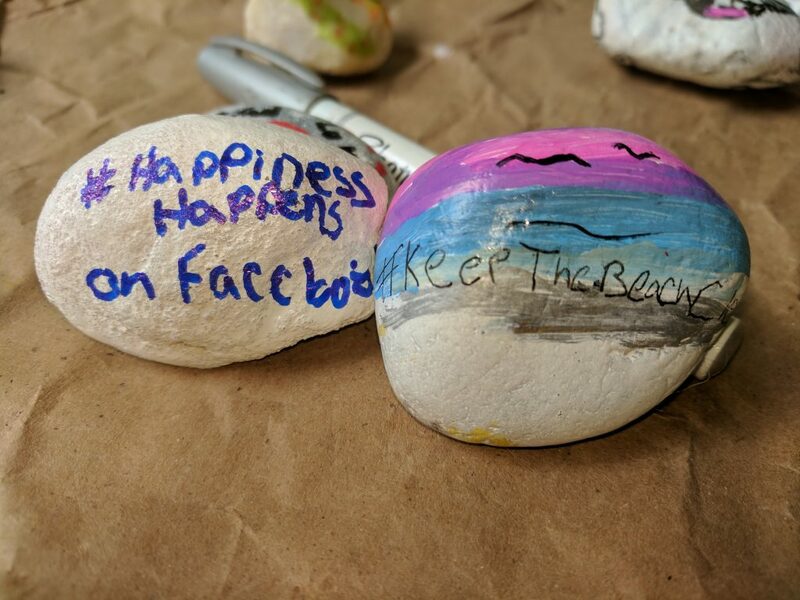 Hashtags, websites, and the like are often painted or pasted onto the backs of rocks so that unsuspecting and pleasantly surprised strangers can find the groups after picking up a colorful rock on a hiking trail or in a local park. New people are welcomed, shown the minimal ropes, and encouraged to participate by painting and hiding their own rocks. This sense of community is what has allowed this trend to spread across the country and the globe. Originating in the United States, there are painted rocks popping up all over the world. More and more towns and cities are forming groups and encouraging others to join in. 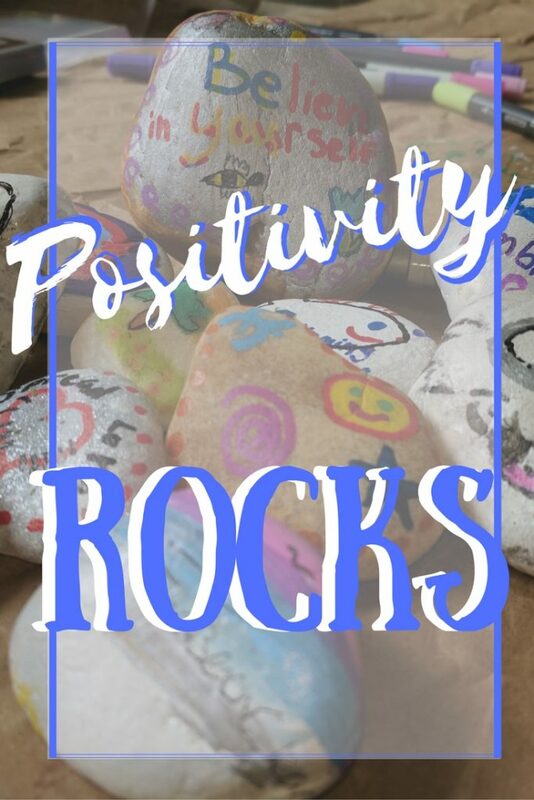 One person may find a rock while on vacation at the beach with their family, then bring that rock back to where they live to drop off in a favorite place!! Thank you, Marilyn. I think it’s a beautiful thing. This is so much fun. My daughter and I found 5 rocks this weekend and had a blast rehiding them for someone else to find. Five? Wow! Lucky girl. I guess I need to get out more. We have a few rocks we have painted over the years. I love to look for the perfect rock to paint when we are out. I have a few ideas I want to do when I find the right shapes. Yes – the shapes speak to me, sometimes. I’ve never heard of or seen these, but I love the idea! That story gave me goosebumps <3 This is such a wonderful, sweet idea. Love it! What a wonderful way to brighten someone’s day! 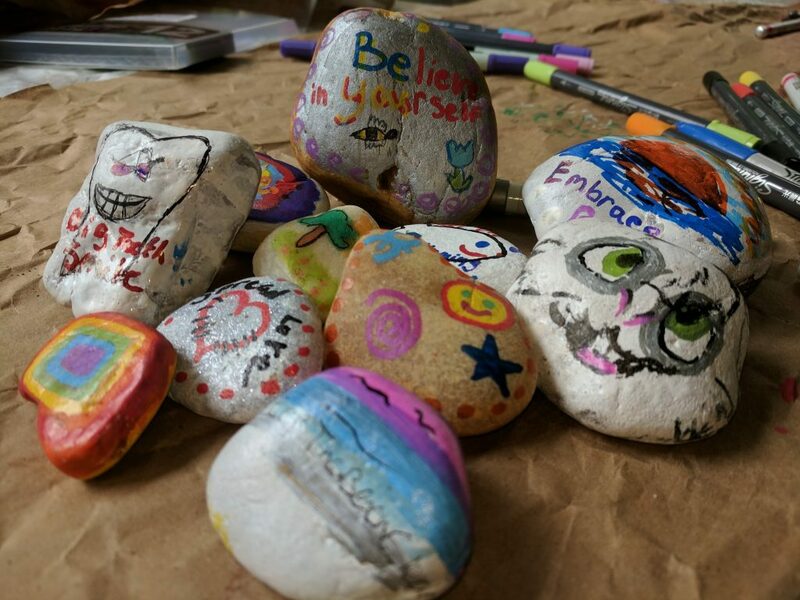 My kids recently painted rocks to help decorate my inlaws garden, but I love the thought of doing it to spread joy. These are some fabulous rocks. I have never found a rock before, but I love this idea. I’ve been wanting to do this ever since I first heard about it. I love the idea of spreading positivity and love. We also have a program going in our little town. I was at the store grabbing supplies when a man said I don’t get it. It’s just a stupid rock. I had to explain that the “stupid” rock I found first had brought me joy to know that it was there. That “stupid” rock gave me joy as I thought about where I would hide it next. That “stupid” rock had been prayed over before I hid it again. And finally that “stupid” rock would hopefully go to someone else who needed the message too. Keep up with the positive and creative spirit! I know some people don’t get it. 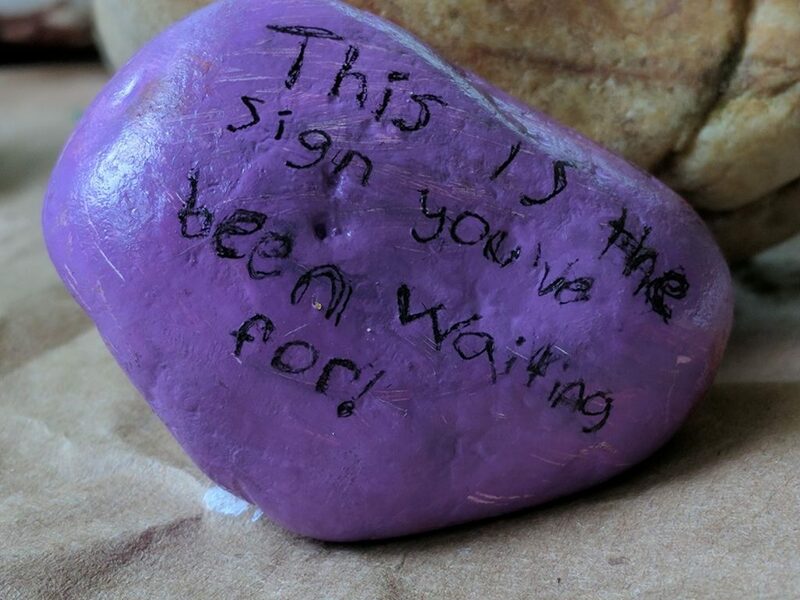 However, after I connected with the woman that hid the rock that little boy found, I felt moved enough to write about it. It’s more than a rock. It’s a reminder. It’s a message. That is the sweetest idea ever! Everyone can use a little encouragement, and this is the cutest way I’ve ever seen to do it! Your tutorial is just in time, my son found 2 rocks on 2 different occasions and brought them home to me. I’m going to make 2 and put them back out there. This started on Cape Cod, in my home state of MA, the connection to my home is just an added bonus to this spread-the-love project. Very cool, Heather! I didn’t know where it started. I just know that I will be so tickled when I find my first rock.